Danish metal band Evil Masquerade has released the "Black Ravens Cry" as a single from DARK MINSTREL MUSIC on February 27. It originally appeared on the album "Third Act" and has been available on YouTube. 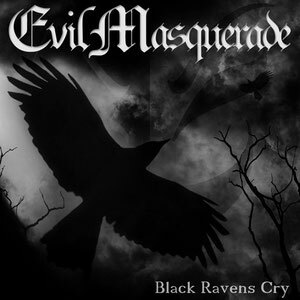 "Black Ravens Cry" has been the encore of most Evil Masquerade shows and it seems to have an almost magical appeal that unites metal fans regardless of sub-genres. Dark Minstrel Music's first official Evil Masquerade release is their radio hit single "Black Ravens Cry". It is now available on amazon.com and iTunes.